As I leave IIASA after almost seven years, it is interesting to reflect on my time here. When I came to IIASA, the Strategic Plan 2011- 2020 was in the initial stages of implementation. 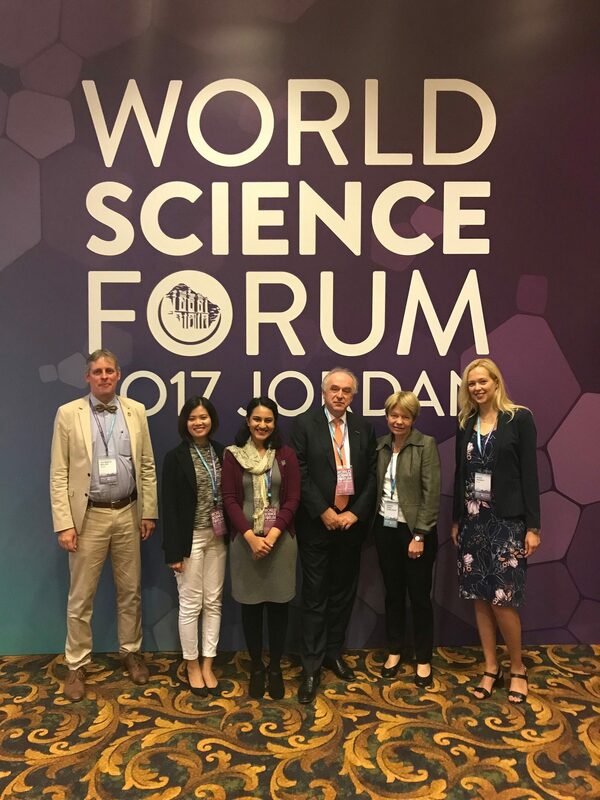 Among the priorities was increasing the level of systems science and cross-cutting thinking across the institute’s programs and to make IIASA a really global institution. My priorities initially were exactly that. IIASA had 18 national members and was then largely dominated by the “Global North”. My priority was to expand global membership and at the same time to activate the role of the existing “Global South” members like China and India. We pursued a strategy in which new IIASA members represent a particular regional and thematic setting, , and where IIASA’s systems approach can make a difference. For example, we invited Vietnam to join as I believe it is a country which will be one of the next “Asian tigers”, with a fast-growing, booming economy and society. IIASA developed the models and methods to understand fast transition processes in Asian tiger countries, like the Republic of Korea. Such representative examples allow us to test the models. We welcomed other new members like Indonesia, Mexico, and Australia. The UK was one of the key founding members of IIASA in 1972 but it left IIASA for political reasons in 1982. I was extremely proud that my IIASA colleagues, the IIASA Council and I were able to make a sufficiently appealing case for the UK to rejoin IIASA in 2015. The concept of building bridges across the political divide through IIASA collaborative science came best into fruition by having both Iran and Israel to join as members in 2016 and 2017 respectively. This steep growth in membership inevitably brought additional challenges to the IIASA system. IIASA has also not been unaffected by changes in the world, with an erosion and fragmentation of the global political and economic discourse, decreasing levels of global solidarity, and new geopolitical tensions. Now, the future role of IIASA in this changing world is a main subject of discussion as IIASA and the Council develop an updated strategy beyond 2020, assisted by a large external review of IIASA in 2017. In my view, the current world needs IIASA more than ever. There are very few places in the world which provide a truly scientific platform to interact across geopolitical divides in and between the global North and the global South. IIASA can act as a unique kind of “honest broker”, not to be compared to the major think tanks or science councils, as we have both a think tank function and the multidisciplinary capacity to do actual analytical work in house. 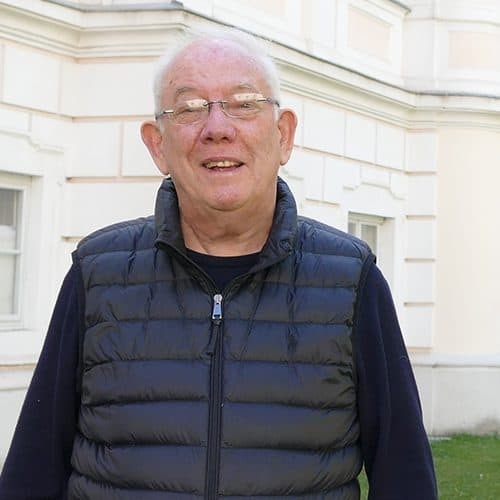 I believe there is a paramount set of reasons for this wonderful, unique institute to be supported in the future but a number of things will have to change, and in some cases, radically. Let me start with the most important aspect of IIASA, its people. I believe that the IIASA system should revisit the way talent and human capital is attracted to and kept at IIASA with a good 21st century attitude to career and personal life balance. We now have 380 colleagues on our staff coming from 48 countries. 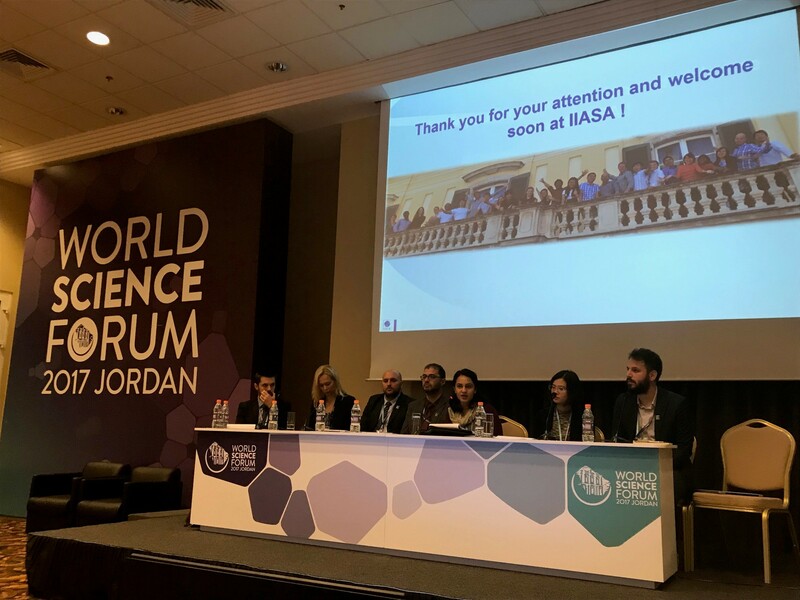 In addition we have about 2,400 collaborators from 830 partner institutions connected to IIASA activities and projects across the world. In 2017 we hosted 2,421 additional researchers and conference delegates to collaborate with us. In my six and a half years as IIASA director general I saw IIASA staff growing from about 270 in 2011 to almost 400 in 2018 and I’m proud to see that more than half of our new colleagues are young, mid-career high potentials. I think it is our duty as senior management to provide decent career and life perspectives to our young and mid-career generation colleagues, and to focus more on the equality, diversity, and overall wellbeing of staff. IIASA could introduce new elements like shared appointments across the world, and better aid colleagues with young families. IIASA should invest intellectually and financially into succession plans, and attracting and keeping talent, particularly the young talent. Within the next five years, more than three quarters of senior IIASA management will reach retirement age. My second suggestion is that IIASA should substantially recalibrate and improve its relationship with its National Member Organizations (NMOs). But it takes two to waltz, as a good Viennese would say. A genuine mix of a global good scientific and science-to-policy work with a regional portfolio and national value portfolios, together with a capacity development and research partnership training concept can be easily developed for every IIASA member individually as well as for clusters of countries. However, the NMOs in most of our member countries would need to change their modus operandi too, and become active co-owners, distributors and true strategic focal points of IIASA in both academic and science-to-policy landscapes in their countries. 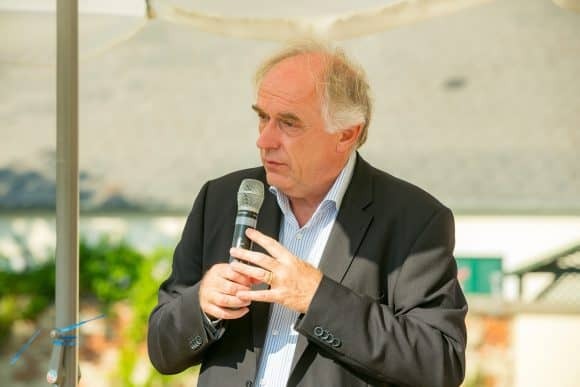 Thirdly, I believe the IIASA community, from the Council to individual researchers, should “walk the talk” and demonstrate a pioneering, leadership spirit when it comes to future strategic scientific focus. For example, IIASA integrated models, despite being among to the best in the world, are not really able to deal with the major social, institutional, governance, and behavioral changes needed for a global transformation. What sense does it make to produce yet another set of articles and assessments about the world to be kept within 1.5°C of global warming instead of 2°C, while we have no real clue how the social, economic, political, and individual behavior system will cope with the already very bold 2°C degree target? We need to understand the role of social science to achieve our bold environmental ambitions. 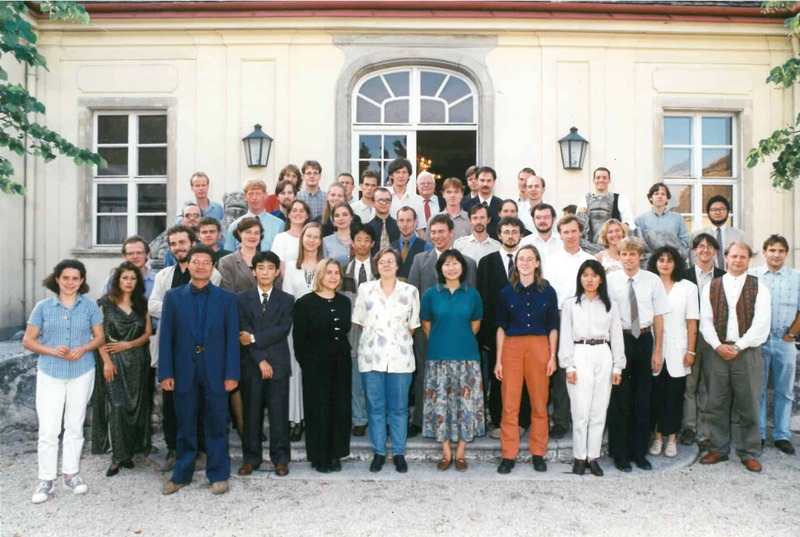 Fourthly, IIASA should remain a place for exploration, new ideas, surprising combinations of thoughts and disciplines, a place welcoming exploratory thinking in system science, and open to those with good ideas regardless of their place of origin or nationality. 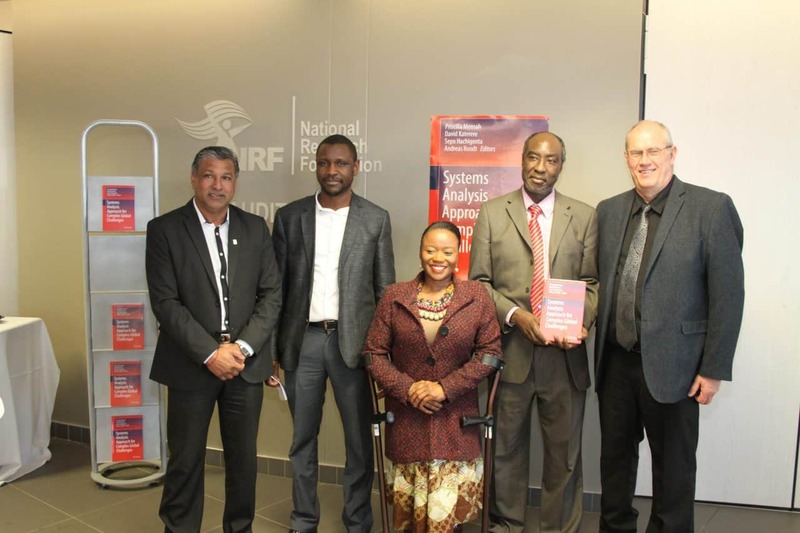 Finally, it is imperative that IIASA keeps investing in collaborative and partnership links with its host country Austria, whose crucial role cannot be overemphasized. I have been deeply thankful for the generous support of Austrian institutions ranging from the federal president, and the Academy of Science, to the municipality of Laxenburg. In my new role as the Chief Scientist of the UN WMO I will be dealing with many fields in which IIASA has been active, so we will continue to meet and collaborate often. IIASA has become part of my identity and I will give any support I can to this unique institution in the future. I would like to wish my successor, Albert van Jaarsveld, the IIASA governing council, and all of my IIASA colleagues, all possible success. Last year, I had the fantastic opportunity to spend three months at IIASA as part of the Young Scientists Summer Program (YSSP), to collaborate with the Ecosystems Services and Management (ESM) research program. During this very enriching experience, both intellectually, socially, and culturally, I worked with Petr Havlik, David Leclère, and Christian Folberth on modeling global rangelands and pasturelands under farming and climate scenarios. I also progressed on the development of a global animal stocking rate optimizer. The overall objective of this YSSP project, and more broadly of my PhD, is to assess the role of grazing systems in a sustainable food system. However, my trip to IIASA was not my only adventure last year. Just before moving to Vienna, I received the great news that I was selected along with 77 other women to take part in a women in science and leadership program called Homeward Bound. What would our world look like if women and men were equally represented, respected, and valued at the leadership table? How might we manage our resources and our communities differently? How might we coordinate our response to global problems like food security and climate change? Homeward Bound is a worldwide and world-class initiative that seeks to support and encourage women with scientific backgrounds into leadership roles, believing that diversity in leadership is key to addressing these complex and far-reaching issues. The program’s bold mission is to create a 1000-strong collective of women in science around the world over the next 10 years, with the enhanced leadership, strategic, and visibility capacity to influence policy and decision making for the benefit of the planet. This year-long program culminated in an intensive three-week training course in Antarctica, a journey from which I have just come back. 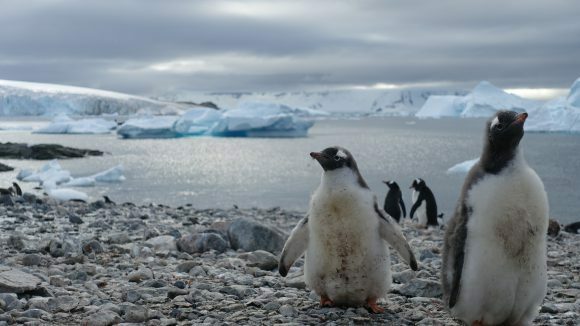 The voyage to Antarctica was incredible. We learnt intensively during this 24/7 floating conference in the midst of majestic icebergs, very cute penguins, graceful whales, and extraordinary women from various cultures and backgrounds, from PhD students to Nobel Laureates. I have returned full of hope for the planet, deeply inspired, and emotionally energized. It was a truly unforgettable experience, one that will keep me reflecting for a lifetime. 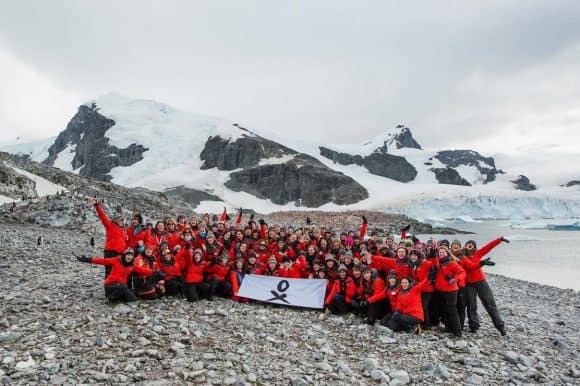 Our days in Antarctica typically followed a similar routine – half of the day was dedicated to a landing (we visited Argentinian, Chinese, US, and UK research stations) and the other half to classes and workshops. We discussed systemic gender issues and learnt about leadership styles, peer-coaching, the art of providing feedback, science communication, core personal values, or what matter to us. The list goes on! We were also encouraged to practice reflective journaling. Regularly recording activities, situations, and thoughts on paper is actually a very powerful technique for self-discovery and personal and professional growth as it helps us think in a critical and analytical way about our behaviors, values, and emotions. We also spent quite some time developing our personal and professional strategies: What is our purpose as individuals? What are our core values, aspirations, and short- and long-term goals? From that, we developed a roadmap that could be executed as soon as we stepped off the ship. While I haven’t solved all my life’s mysteries, this activity gave me strong foundations to keep growing and actively shape my own life, rather than letting society do it for me. In the evenings, we watched our film faculty sharing their tips with us on television, including primatologist Jane Goodall, world leading marine biologist Sylvia Earle, and former Executive Secretary of the UN Framework Convention on Climate Change (UNFCC), Christiana Figueres. We also had a collective art project called “Confluence: A Journey Homeward Bound”, which was underpinned by our inner journey of reflection, growth, and transformation and our outer physical journey to Antarctica. 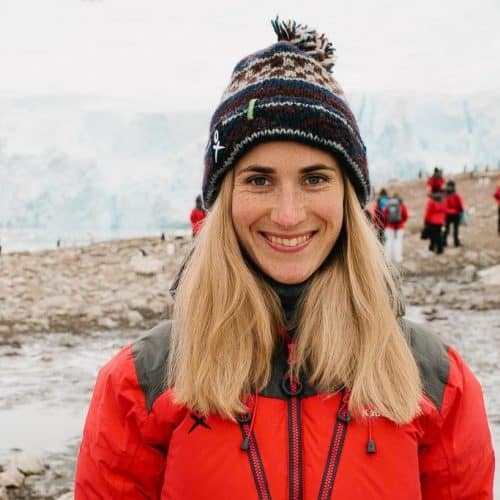 Both my stay at IIASA and my journey to Antarctica taught me a lot about the value of getting out of my comfort zone, exploring different leadership styles, and collaborating. I have also witnessed how visibility (visibility to ourselves, to understand who we are, and visibility to others, to let the world know we exist) helps to open up opportunities. The good news is that the beliefs we have about ourselves are just that – beliefs – and these beliefs can be changed. My visibility to others has also increased notably in relation to my involvement in Homeward Bound and my recent award of the Queensland Women in STEM prize. 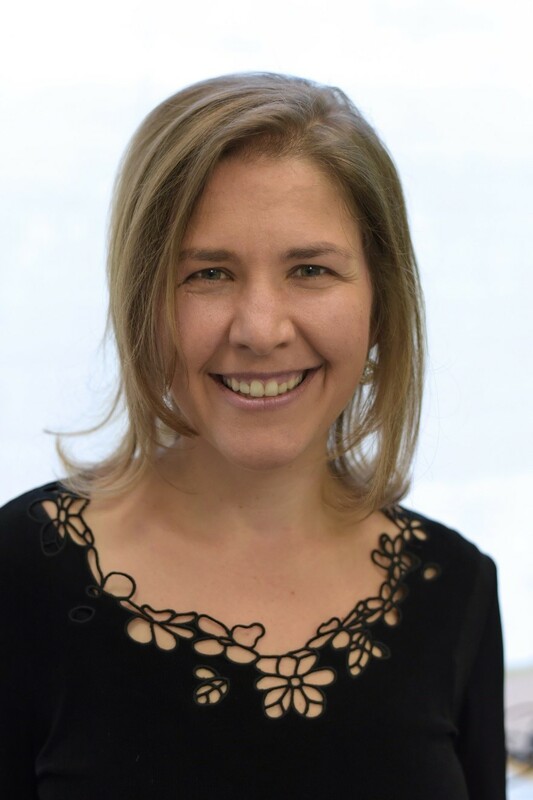 This Australian annual prize, awarded by the Minister for Environment and Science, Leeanne Enoch and Acting Chief Scientist Dr Christine Williams, aims to celebrate the achievements of women who are making a difference in the fields of science, technology, engineering, and mathematics. As a result, I have been contacted by fascinating people from various fields of work, from researchers and teachers to entrepreneurs, start-ups, and industries. All these connections have broadened my approach to food security and global change and helped me shape my research vision, purpose, and values. When we were in Antarctica, our story reached 750 million people. Why? Because, and may we never forget, the world believes in us – ‘us’ in its broadest sense: humans, scientists, women, etc. – in our skill, compassion, and capability. While we are facing alarming global social, economic, and environmental challenges, I believe that the many collaborations that embrace diversity of knowledge, skills, processes, and leadership styles that are currently emerging all around the world, will help us get closer to our development goals.